Browse books by author Emily K. Bright, including Glances Back (poetry) and Powerful Ideas in Teaching: Creating Environments Where Students Want to Learn. 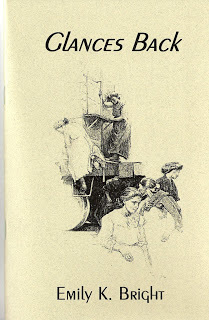 My limited edition chapbook Glances Back, published by Pudding House Press, is a collection of narrative poems that look to the past and explore how history affects us. Vincent van Gogh makes an appearance, as do my Somali neighbors and the biblical daughters of Lot. I am devoted to poetry that tells stories, for stories are what draw us together. For a sneak preview, check out "Community," as featured on the blog of Split This Rock, and "Sunday's Theme," as published in America Magazine. True learning—the kind that stays with students long after the grades are in—requires risk. Ownership. Change. But what does it look like for students to really understand your subject? How can you structure assignments so that Googling becomes an asset, not a threat, to demonstrating knowledge? Real-life classroom examples demonstrate how you can shift the drive for learning into students’ hands—while still meeting your learning benchmarks. 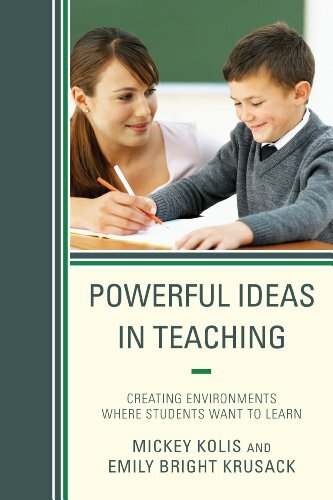 From making assignments meaningful to students to assessing the results, Powerful Ideas in Teaching explores key ideas for creating environments where students want to learn. Click here to read a Table of Contents. Author's Note: You'll notice that my name's a bit different here, but it's still me. My co-author, Dr. Mickey Kolis, is one of the most dynamic teachers I know. He taught middle and high school science for 18 years and is currently an Associate Professor of Education at the University of Wisconsin-Eau Claire.